This Sunday the Historical Society is dedicating a stained glass window to Ruth and Selby Soward. It will hang in the Ennis-Handy House at 202 West 13th Street here in Goodland. 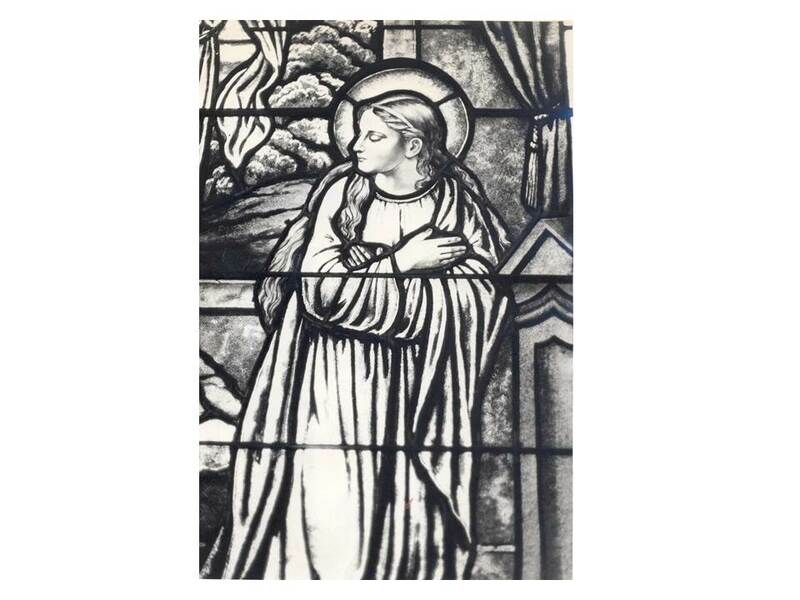 To help celebrate this event let’s take a look at a brief history of stained glass windows and some other stained glass windows in Goodland. July 18, 1979. Stained glass window in Our Lady of Perpetual Help Catholic Church. that Arabian, Byzantine or Moorish glass might have appeared in marble or stone sculptures. When the Moors entered Spain, stained glass windows moved into the north and were used as windows to help protect against weather. One of the oldest known examples of stained glass windows were uncovered at St. Paul’s Monastery in Jarrow England from 686 AD. As the years passed stained glass windows became popular in churches and are often beautiful staples in most churches. Goodland has a fine selection of stained glass windows in our churches. The United Methodist Church has a very tall stained glass window depicting hands and a cross facing Sherman Street. The Catholic Church has several stained glass windows depicting different scenes from the Bible. If you are driving by the Goodland Public Library on 8th Street you might notice a tall stained glass window. This stained glass window is called “Old ‘Engine 99’” and used to hang in the old Methodist Church. The window is the artist’s depiction of the Chicago, Kansas & Nebraska Railway engine. This engine pulled the first train into Goodland in 1888. 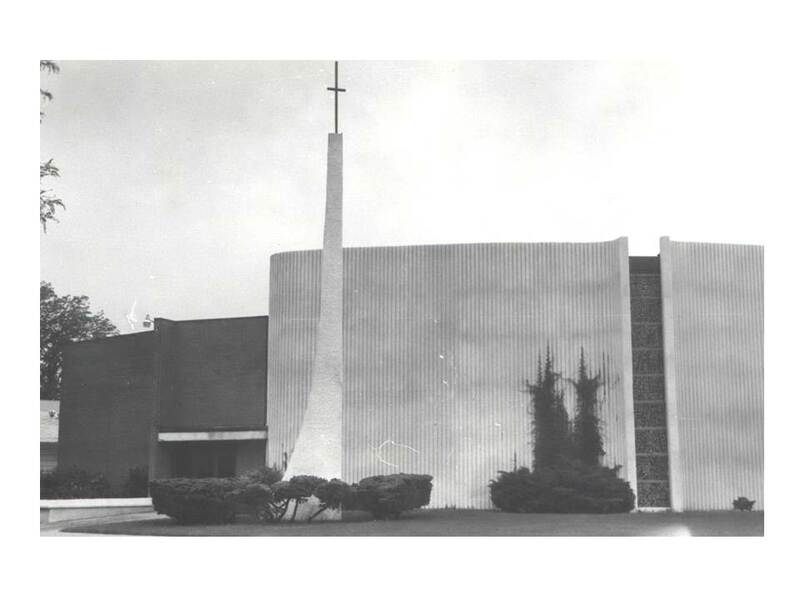 Farmers donated money to get the stained glass window made which was dedicated to Charles J. Winsell who was killed when a girder struck his head. It hung in the old Methodist Church until the new chruch was constructed and the window was hauled off to the garbage. Mrs. John Cogswell, the mayor’s wife, noticed it was gone and her husband phoned, found it and brought it back in the hope that it would someday go into a new library. Today it hangs in the Goodland Public Library and is a beautiful representation of the railroad and the men who worked on it. history can be found at the History of Stained Glass. On Sunday at 3:30 PM we will have another stained glass window to add to Goodland’s collection of window art. Stop by the Ennis-Handy House on Sunday for a dedication at 3:30 with a band (bring your own lawn chair), stories of the past by Curtis Duncan, tours of the house, and ice cream. This Sunday take a tour of the stained glass windows in Goodland: take in a service at a church and drive by the library, then stop by the museum to make your own stained glass window (a glass-less craft for all ages). After your window is complete drive over to the Ennis-Handy House for the dedication!